Nadine Lustre Answers James Reid's Ex-GF Ericka Villongco's Post? Nadine Lustre Answers James Reid’s Ex-GF Ericka Villongco’s Post? 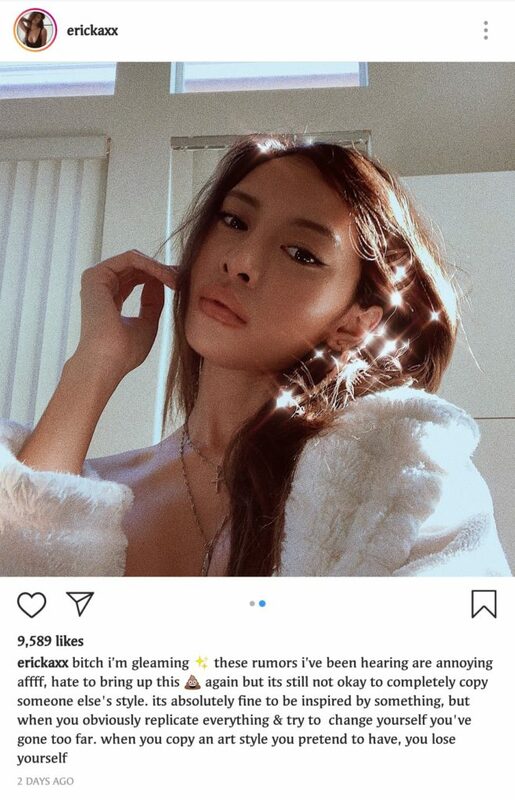 Is this the answet of Nadine Lustre to the intriguing post of James Reid’s ex-girlfriend Ericka Villongco? The recent post of Nadine Lustre is assumed to be her answer to the intriguing post of Ericka Villongco, James Reid‘s ex- girlfriend. Previous issues about these three involved speculations that Nadine is the reason of James and Ericka‘s breakup. However, the latter has disproved this rumor. Following this, netizens had their own way of comparing the past and the present women in the life of James. Apparently, the issue did not just stop on their similar posts on their social media accounts. 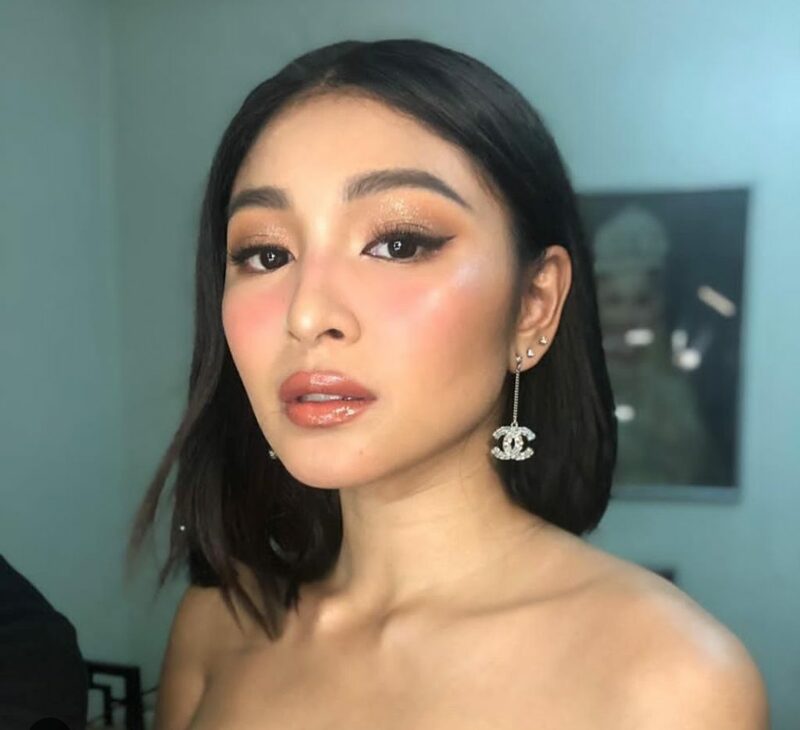 Netizens who commented on a popular showbiz site easily assumed that it was for Nadine Lustre. Here are some of the comments. 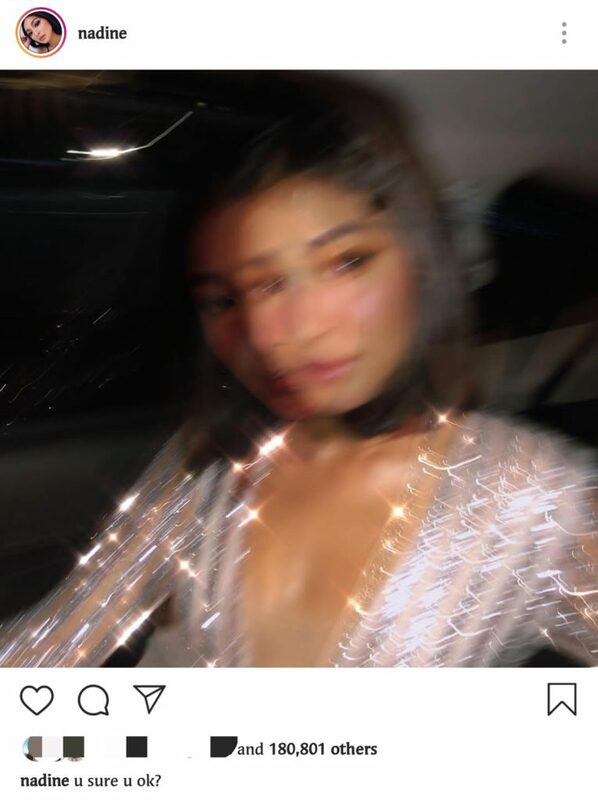 Following this, Nadine posted a photo on her IG account with glittery filter also. 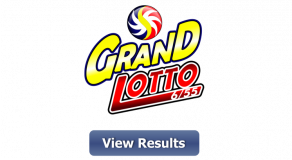 Here are some of the comments on a showbiz site to the post of Nadine Lustre.